Product #1493 | SKU ADPT-3GBI/OPT | 0.0 (no ratings yet) Thanks for your rating! 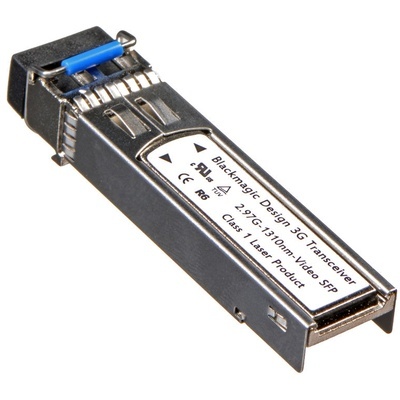 Add an LC fibre optic connection to your Blackmagic Studio Camera, Teranex Convertor, ATEM hardware, or any other professional device that supports SFP cages with this Blackmagic Design 3G SFP Optical Module. 3G data rates support SD and HD resolutions, and the fibre optic communication allows for long-distance transmission without quality loss.